The war in Syria is not over yet. Indeed, the Bashar Assad Ba'athist-Alawite regime has been salvaged in Western Syria, the most populated part of the country. However, this was not been achieved by the regime's itself, but rather by foreign protectors – Russia, Iran and Hezbollah, the Shi'ite state-within-the-state in Lebanon – that provided fighters or firepower or both. And there are still large pockets of Sunni insurgency in the northwest. While some of these areas are now de facto under Turkish supervision, others are still operated by independent Syrian Sunni militias. As for eastern Syria, it is still largely beyond the control of the Assad regime. While ISIS does not seem to have retained compact territorial strongholds there, some non-ISIS Sunni insurgents remain active in the southeastern deserts along the Jordanian and Iraqi borders. More important, Trans-Euphrates Syria in the northeast has consolidated into an autonomous polity known as Rojava (Syrian Kurdistan), or alternatively, the Democratic Federation of Northern Syria (DFNS), a coalition comprising of Sunni Kurds, Sunni Arabs and Christian Assyrians. The DFNS spearhead is a well-organized and highly motivated Kurdish militia, the People's Protection Units (YPG), which carried most of the war against ISIS on the ground from 2015-on, and reconquered most populated areas in the former ISIS-dominated territory. Until recently, the YPG relied ultimately on American logistical and tactical support. American assistance was crucial in defeating ISIS at Kobani in 2015, under the Obama administration, and in the reconquest of the ISIS capital Raqqa in 2017, under the Trump administration. Russia also extended some measure of support at times. On the other hand, Turkey, Iran and Shi'ite-dominated Iraq have constantly opposed Rojava/DFNS and are clearly tempted to wipe it out now that American personnel are about to leave the area. Turkey has already taken advantage of the new situation by wresting from the Kurds their westernmost outpost in Afrin. But it has been apparently advised by the US and Russia alike not to interfere with Trans-Euphrates Syria proper. This arrangement was seen by Arab nationalists – who had been promised an independent and united State by the British, and had convened a national congress in Damascus – as a cynical betrayal. This was all the more so when their British-appointed king, Emir Faisal of Hejaz, was ousted from Damascus by the French in 1920, and had to resign himself with a diminished realm in Iraq only. The word Nakba ("catastrophe"), which now applies primarily to the Arab Palestinian plight, then came into use in the Arab press for the first time, to describe the dismemberment of a stillborn new Arab Empire. Most inhabitants claimed to be Muslim, but broken down into many Sunni and Shi'ite sectarian groups. The Christians, the second largest religion, also split into sectarian groups, not to mention smaller religious minorities like the Jews, Druze or Yazidis. Every geographical region and every tribe or clan claimed a distinct identity. The economy was largely local. As noted by the American historian Martha Neff Kessler, connections to larger markets outside the area along the old caravan roads or the more recent Ottoman railways networks were more relevant than interconnections within the area. What was true of the region as a whole was equally true of each Western zone of influence. The French quickly realized that their Syrian dominion – two millions inhabitants in 1920 – was a patchwork of conflicting communities. Charles de Gaulle, who was stationed as a young staff officer in Beyrouth from 1929 to 1931, dryly observed, "The people who live here never contented themselves with anything nor anybody." Still, some administrative framework had to be devised. The secretary-general of the French High Commissioner's Office, Viscount Robert de Caix de Saint-Aymour, took up the challenge. A personal friend of Philippe Berthelot, the secretary-general of the French Foreign Office and the supremo of French post-WW I diplomacy, he would enjoy a near unlimited authority in these matters. Likewise, the Alawites were promised a fair amount of autonomy in their own area around Latakia, between Lebanon and Turkey. A nominally Shi'ite sect that most Muslims, including regular Shi'ites, regarded as heretical, the Alawites were eager to associate with the new non-Muslim rulers. They provided the French with excellent and disciplined native levies, which later turned into elite forces. The Druze issue was more awkward. Another offshoot of Shi'ite Islam that had developed into a fully separate religion, the Druze community was a major power both in the mountainous areas south of Damascus – the Jabal Druze – and in several parts of Lebanon. While the French provided the Jabal Druze with a state of its own, they subordinated the Lebanese Druze to the Christians. That major departure from their global scheme and major mistake was soon met by a bitter all-Druze insurgency and more unrest in other parts of the country. It took two years, and a very discerning general, Edouard Andrea, to quell it in 1927. Finally, de Caix's map was cosmetically redrawn. 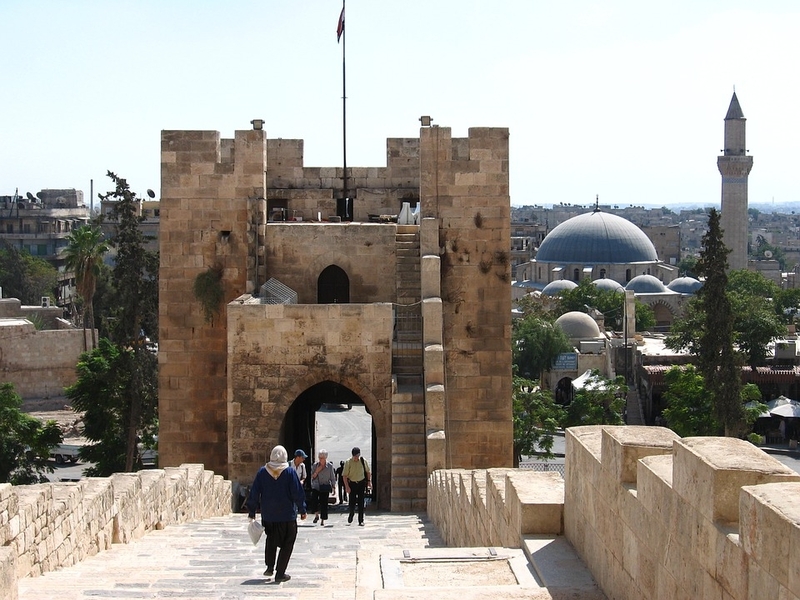 The states of Damascus, Aleppo and Jabal Druze were merged into a single Syrian Federal State. However, Lebanon and the Alawite State were maintained as separate entities. Wrested from Vichy France by the British and the Free French in 1941, Syria was granted independence as a single state in 1945, with the exception of Lebanon, which was confirmed as a separate independent state. It did not mean, however, that the ethnic, religious and geographic tensions or rivalries that appalled de Caix vanished instantly. On the contrary, they were exacerbated by an enormous demographic growth – from five million in the 1950s to about 10 million in the 1970s to about 20 million today. Democracy quickly gave way to military regimes, a succession of coups and even a brief incorporation into Gamal Nasser's United Arab Republic. Finally, the Alawites took over. Ironically, the pro-French Latakia sectarians had converted to militant nationalism and then Ba'athism in the 1940s, and their military power had allowed them to assert an ever-increasing role in the country's politics in the 1950s and 1960s. In 1970, Hafez Assad, an air force general and a leader of the Ba'athist Syrian branch, emerged as the sole ruler. The Assad regime, under Hafez Assad from 1970 to 2000, and then under his son Bashar, was outwardly pan-Arabist, but relied in fact on carefully calculated sectarian alliances. In a nutshell, the Alawites coopted all non-Sunni or non-Arab minorities in order to check the Sunnis. The system was cemented by socialism – in effect, family and sectarian patronage – and a close alliance with the USSR. Once the Soviet Empire fell that started to unravel. The civil war that started in 2011 brought back to the surface a geopolitical Atlantis: de Caix's map, with only one major difference, the assertiveness of Trans-Euphrates Syria. Michel Gurfinkiel is the Founder and President of the Jean-Jacques Rousseau Institute, a Ginsburg-Ingerman Fellow at Middle East Forum, and editor emeritus of Valeurs Actuelles.